Hitting the roads since 1994. Read the full story. 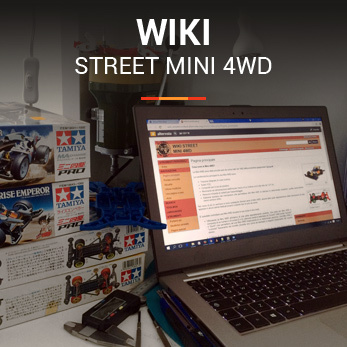 Build your Street Mini 4WD and start to race! 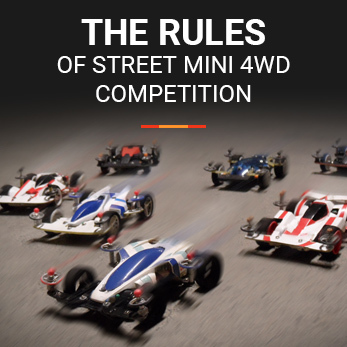 The Street Mini 4WD is a unofficial race category where the Mini 4WD cars runs in the open space without circuit with the racer following them and guides the car with the guide stick. 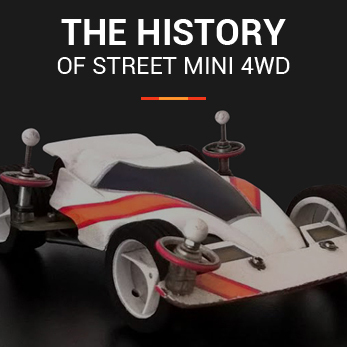 One of the basic concepts that the Street Mini 4WD regulation imposes is to be able to develop a Mini 4WD car as much as possible similar to a real racing car. The street Mini 4WD races are based on the races that were represented in the manga and anime Dash! Yonkuro, the on-going Hyper Dash! Yonkuro and Let's&Go.